Another summer, another tragic drowning, and a lot of awful memories. After the tragedy of the drowning years ago, the beach community never expected another tragedy. Jo and her family were the most affected by the tragedy that happened years ago, and that tragedy still haunted Jo. Will the awful memories ever go away, and will the real facts about the drowning perhaps be revealed? The secrets of Lake Road were deep and haunting for those who had a secret. Ms. Katchur marvelously put together a story that will remain with you simply because it could really be a true situation. Ms. Katchur skillfully takes the reader back years before and skillfully brings readers to the present as the storyline unfolds. The characters in THE SECRETS OF LAKE ROAD were a bit difficult to like. Jo was my least favorite. She was a terrible, heartless mother. The secret she kept tucked inside most definitely affected her. Caroline her daughter seemed sweet and wise beyond her years. The other characters worked well around these two main characters. I enjoyed the revelations at the end. One of the revelations was obvious toward the end, but the others were a surprise. Charlie Finn had an unusual childhood and a very unique rest of his life. Charlie played poker, went to Harvard, had a job that ​paid well but ​was a job​ that cost him the woman he loved, and then had another job that gave him a family but also danger. WATER FROM MY HEART was a bit confusing at first because more than one story was going on. It started to come together around Page 100 or so. ​We follow Charlie as WATER FROM MY HEART goes back and forth from past to present. I liked Charlie despite some of the things he did in his life and despite the decisions he made that ruined lives as well as saved and touched lives. WATER FROM MY HEART was a book about loss, life​​, decisions, and regrets. You will learn what the title means and see a redemption in Charlie. The ending was heartwarming. Fifteen million dollars, fifteen years in prison, a murdered sister, and lots of bodies. The day he got out of prison is when it all started. Lou Malloy, now known as John Addams, is released from prison and goes on a killing spree as he looks for the money he hid and for his sister's killer. Lou meets Hilary Kelly, and they team up​ with both of them doing the investigating and with Lou doing the killing. We meet many unique characters. DEAD MONEY RUN was fast-paced but a bit unbelievable how John acquired guns, found information, and always managed to get rid of people that were after him. ​I definitely wouldn't want to be on Lou Malloy's ​"​list.​"​ :)​ He had no qualms about maiming or killing people.​ There is a lot of gore. ​As DEAD MONEY RUN continued, Lou found out that his sister may have been killed for more than the money he stole, and she may have been involved in other things. DEAD MONEY RUN wasn't gripping, but is a read that will keep you wondering where the search will lead and who else is involved in following and trying to kill Lou ​and Hilary and what the motives of these people are. The ending was tense and quite good. DEAD MONEY RUN needs a bit of polishing up in the believability factor, but I did enjoy ​DEAD MONEY RUN. We have to realize, though, that it is a book and not real life, right? THANKS TO ALL WHO ENTERED!! I attended the Montgomery County Agricultural Fair in Maryland this past weekend. 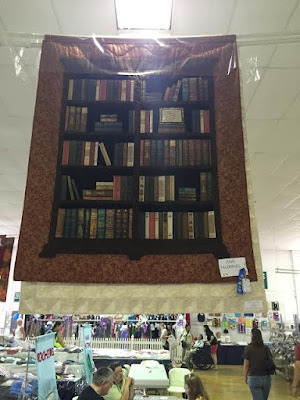 Look what I found in the quilt competition. Isn't it wonderful? 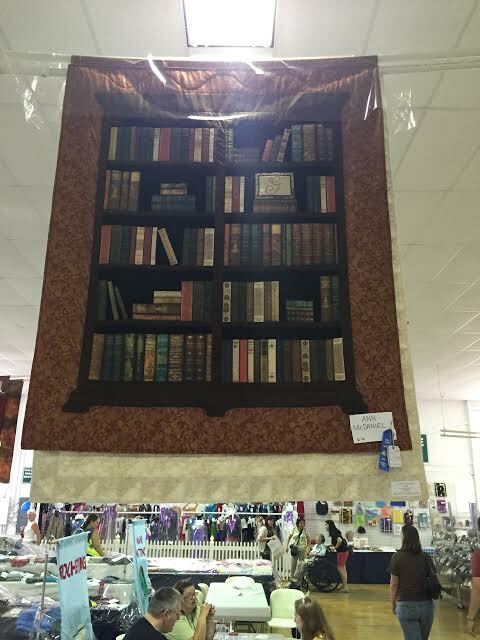 This quilt won a Blue Ribbon. 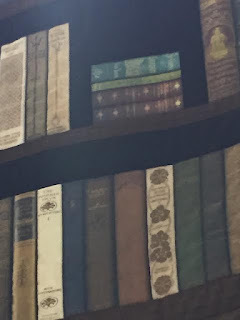 I know nothing about quilting and asked if the quilter designed or embroidered the books, and the answer was the books were material added to the quilt. I thought everyone would enjoy seeing this. Fans of I Don’t Know How She Does It and Where’d You Go, Bernadette? will cheer at this “fresh, funny take on the age-old struggle to have it all” (People) about what happens when a wife and mother of three leaps at the chance to fulfill her professional destiny—only to learn every opportunity comes at a price. In A Window Opens, beloved books editor at Glamour magazine Elisabeth Egan brings us Alice Pearse, a compulsively honest, longing-to-have-it-all, sandwich generation heroine for our social-media-obsessed, lean in (or opt out) age. Like her fictional forebears Kate Reddy and Bridget Jones, Alice plays many roles (which she never refers to as “wearing many hats” and wishes you wouldn’t, either). She is a mostly-happily married mother of three, an attentive daughter, an ambivalent dog-owner, a part-time editor, a loyal neighbor and a Zen commuter. She is not: a cook, a craftswoman, a decorator, an active PTA member, a natural caretaker or the breadwinner. But when her husband makes a radical career change, Alice is ready to lean in—and she knows exactly how lucky she is to land a job at Scroll, a hip young start-up which promises to be the future of reading, with its chain of chic literary lounges and dedication to beloved classics. The Holy Grail of working mothers―an intellectually satisfying job and a happy personal life―seems suddenly within reach. Despite the disapproval of her best friend, who owns the local bookstore, Alice is proud of her new “balancing act” (which is more like a three-ring circus) until her dad gets sick, her marriage flounders, her babysitter gets fed up, her kids start to grow up and her work takes an unexpected turn. Readers will cheer as Alice realizes the question is not whether it’s possible to have it all, but what does she―Alice Pearse―really want? 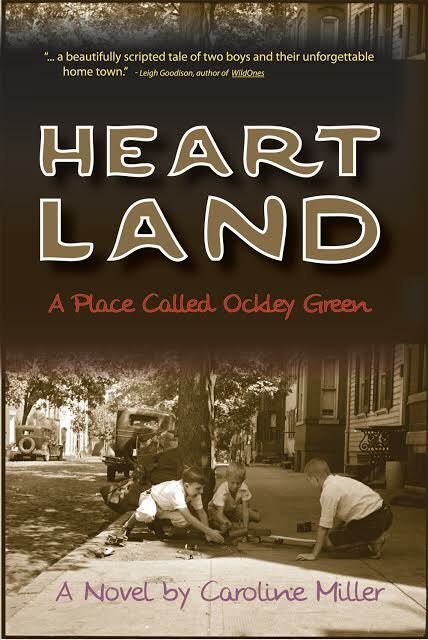 Ms. Miller pulls you in with wonderful characters and the life folks lead in a cozy, Ohio pre-war town. From the depression and pre-World War II eras, the characters are true to life and have antics that you can just see happening in a used-to-be safe environment. Folks didn't lock their doors, folks helped each other when times were tough, and children were still mischievous but innocent. The characters were all loveable. You would want to be in the kitchens of the characters so you could enjoy the wonderful homemade dishes and share the family times. ​Oliver and Herman were the main characters, and they were filled with mischief. Ms. Miller excels in writing and storytelling. ENJOY this book when you read it. And....do NOT miss reading her other two books. They both are quite different from HEART LAND, but oh so EXCELLENT. 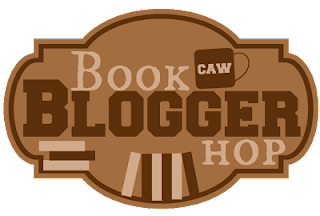 Do you ever do a review post based on a holiday? For example review Christmas theme books in December. This question was submitted by Bunnita @ Worth Reading It?! I am not really a themed-kind-of reader. I do like to see folks putting up Christmas reviews, but I normally do not do that for holidays. Letters from the past that reveal hidden secrets and untold tales, a mansion being restored, and all the wonderful characters from Ms. Chan's previous novels. Mill River is a town I would want to live in. It has its problems, but the characters are just so homey and wonderful. THE PROMISE OF HOME moves from the 1930's to present-day Mill River. Ms. Chan skillfully takes us from one time period to the other letting us in on the daily activities of all of Mill River's current residents and Father O'Brien's life as he grew up. Father O'Brien definitely had an interesting past. Emily is still the same Emily...still hurt from an incident from long ago. Her sister, Rose, has mellowed, which is good. Ruth has a great bookstore and bakery and owns the mansion Emily is restoring. Aunt Ivy is the sweetest thing. Josie is still a successful real estate agent and still juggling her life between family and work. ​The reader finds out more about the familiar characters that add to the appeal of this book. THE PROMISE OF HOME has just enough drama, enough suspense, enough secrets, enough romance, and unfortunately just enough heartache to keep you glued to the pages. THE PROMISE OF HOME is another charming, cozy read by Ms. Chan. A stolen tractor, blood in an abandoned hanger, and now dead bodies and missing suspects. Th​is particular investigation went from looking for a stolen tractor to murder and covert activities. IN THE DARK PLACES was quite a good mystery with terrific characters. ​ I enjoyed the camaraderie among the investigators. The victims and their families were likable​, and the storyline made me not want to put the book down. The tangled series of events made for ​an excellent, gripping read with clues that turned the investigation into other directions and into more than what the investigators first started out with. IN THE DARK PLACES kept me guessing until the end. Mr. Robinson knows how to create drama that takes the reader to a different level and then wraps it all up with an ah ha at the end. This is my first book by Mr. Robinson, and I thoroughly enjoyed IN THE DARK PLACES.